Henry Gwiazda, internationally recognized exponent of sampled music, creates his own virtual reality from animal and environmental sounds augmented by everything from electric cello, flute, and guitar interweavings to a rhythm track of a man eating potato chips! Gwiazda's invention and fantasy take the listener on an audio adventure through his fantastic digital soundscapes. "Gwiazda produces 'animated' audioscapes, oddly situating twisted and chopped real-sound samples . . . combining elements that don't have any clear relationship into compositions of surprising unity." Henry Gwiazda, internationally recognized exponent of sampled music, creates his own virtual reality from animal and environmental sounds augmented by everything from electric cello, flute, and guitar interweavings to a rhythm track of a man eating potato chips! Gwiazda's invention and fantasy take the listener on an audio adventure through his fantastic digital soundscapes. "Gwiazda produces 'animated' audioscapes, oddly situating twisted and chopped real-sound samples . . . combining elements that don't have any clear relationship into compositions of surprising unity." - Robin Edgerton and Douglas Wolk (College Music Journal) "Gwiazda (the ii' is silent) is a musical poet in the truest sense. He understands the pure, sensuous allure, shapely contours and contrasts of sound. He has grasped as well the imagery that sounds from the real world intrinsically conger. Calculatingly stringing together a series of raw, unrefined sound effects while linking, layering, merging and splicing them with both musical and other pure-sound elements. Gwiazda triggers with near tactile sensation invisible environments of remarkable beauty. Each could be a miniature time capsule or concentrated, mysterious reduction of the earth in the late 20th century to be sent out to other galaxies." "You're about to enter the world of virtual audio, and you don't even need to be prepared. In fact, nothing you've experienced before will help you now." Gwiazda succeeds in making electronic music full of spirit, far from the coldness of pure technician-like construction. To say that Henry Gwiazda makes collages is a bit like saying the Beethoven is a composer who uses tonality. Gwiazda makes the most elegant collage work I know. The quality of sounds used are stunning, the choices of when and where to place sounds, both spatially and structurally, are immaculate, and the works are both immediately engaging,and continually fascinating on repeated hearings. "... this work poses a challenge, I hope, to those who would create a rigid distinction between the worlds of "music" and "sound" composition. If you're at all attracted to the contemporary extensions of the "musique concrete" aesthetic, you should become acquainted with this CD." For those unfamiliar with the avant-garde in music since 1945: musique concrète, Gwiazda's specialty to date, is a type of composition splicing together various natural and "musical" sounds into organized patterns. The genre has produced few works of lasting interest, the most famous of which is Edgard Varèse's Poème électronique (1958). Gwiazda has infused the genre with new life, finding a way to make clearly structured compositions in concrète style that are aurally of great interest and, well, quite beautiful. It may sound like another cheap avant-garde trick just reading the title of the first cut, "MANEATINGCHIPSLISTENINGTOAVIOLIN," but there is no trick involved: this is an astonishing and continually involving composition by a composer with a tremendous flair for combining diverse sounds while convincing us that they belong together: humor and wit abound, too. 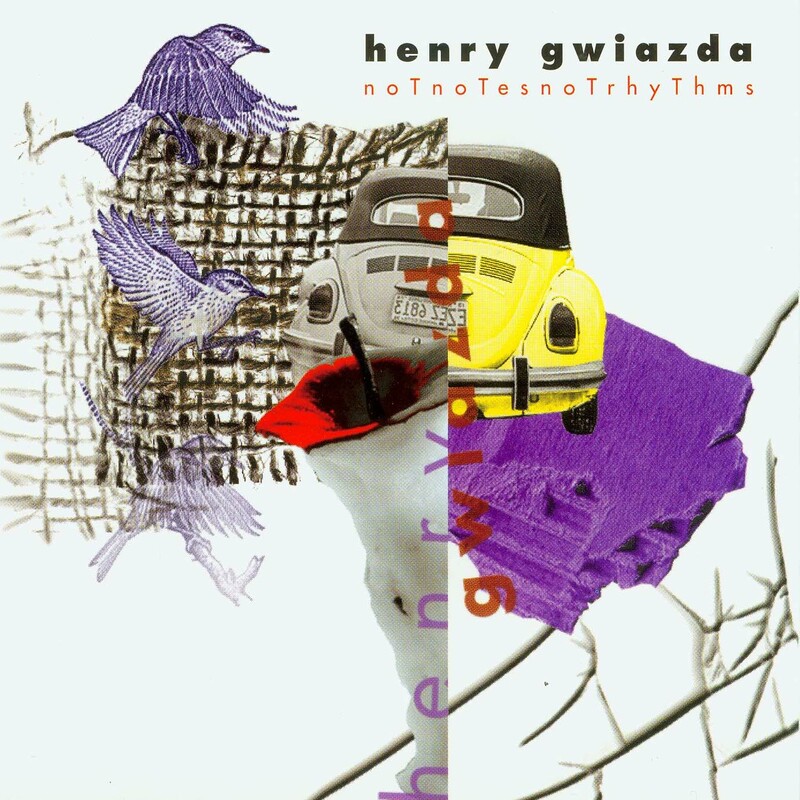 Gwiazda has pioneered "virtual audio," such that the realism and effect of compositions like "thefLUTEintheworLdthefLuteistheworLd" is amazing on headphones as well as musically convincing (i.e., it's not just an audiophile piece). For anyone with a bone of musical adventure left, I can't recommend this jewel highly enough. I only wish Gwiazda would use titles that are easier to type..